Im here! Guess what today is? 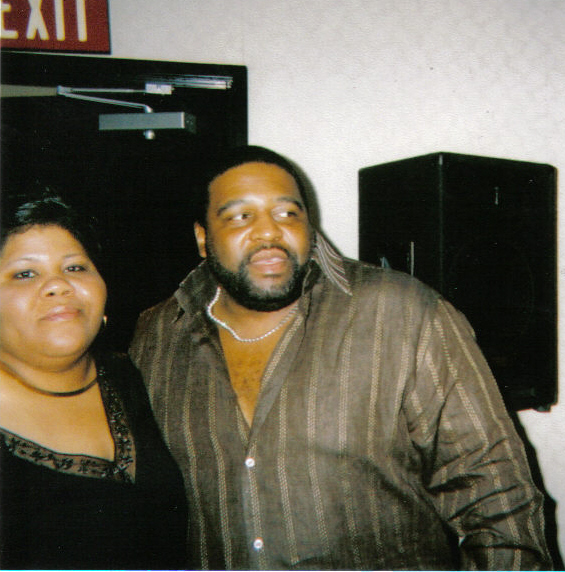 (lol) The day that I go see my boo Gerald Levert (Wed). He is in a play called Casino, and I am so there. My sister and her friend called me and ask me did I want to go see the play, I told her I had already bought my ticket. So now they end up going the same day we are going me ( my friend T) so now we are all riding together. Thats even better. Gerald has been my favorite male singer for a long long time,and Anita Baker is my favorite female singer. I love Anita Baker. I met her too last year in August. I prayed for those meetings. I did and God answered them. Now my last wish is to meet Tyler Perry. He is my baby. I love him. I am on his message board everyday. He knows me too, but we never met. One day soon, aint even go rush it. Well, Im off to bed to get ready for this play, and we have some good seats too. We are in the 4th row from the stage. Here is a photo of me and Gerald. Previous postGod is trying to tell us something! I feel ya! Aint nothing like some Gerald!! !